She is a science student who chose the discipline of literature. An avid writer who writes for self-satisfaction, an optimist who wants to be a successful novelist one day, a reflective person who seeks beauty in the depth of the words of poetry, a believer who believes in the magic of words and a reacher who wants to reach out to people through her pen and shake them out of their comfort zones. 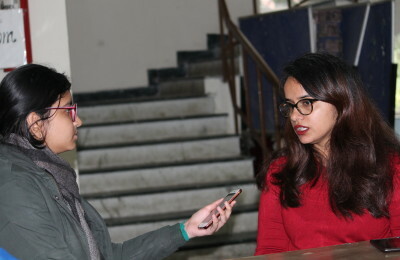 You will always find her either chilling out at LP in Hans Raj College or at your disposal at namratag@dubeat.com .